Hello there! How's everyone today? 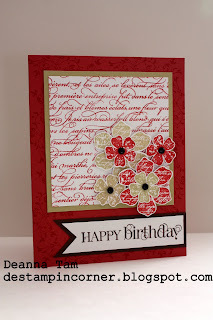 I made this card and a set of it to give to a friend for her birthday coming up soon. I hope she find these cards useful. I'm trying to get ahead of myself here. Now that school has started I don't have much time to stamp. 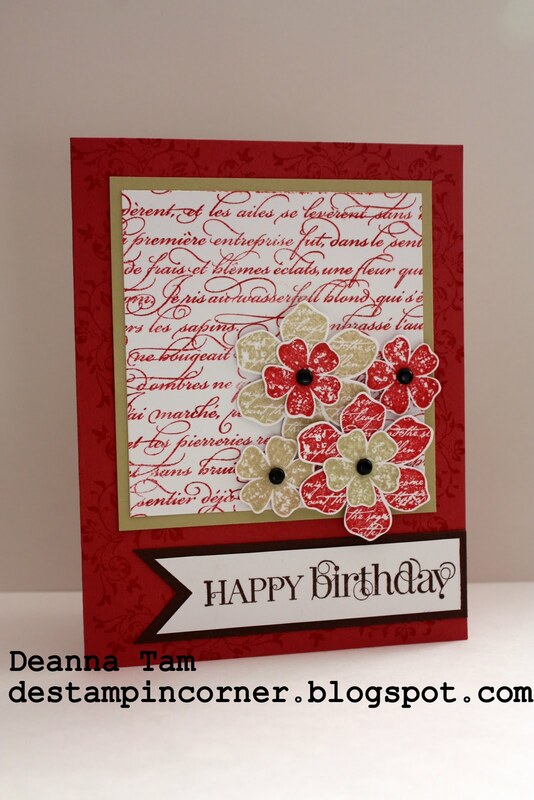 I stamped the flowers and individually cut them all out and mounted them onto the card. Lots of work but it made the card looked pretty. Your friend is going to love them. Won't it be nice if there is a punch that coordinate with the stamp!